Details on the Yakuza prequel, Yakuza 0. The "Business Edition" includes some cool swag, and we've also got a brief trailer. 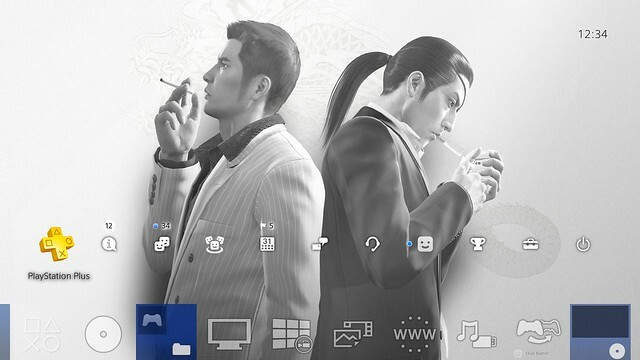 Hey everybody, we’re back here on PlayStation.Blog today to give you guys an exclusive look at the opening moments of the upcoming PS4 crime drama that kicks off the entire Yakuza series, Yakuza 0. But first, we’ve got some good news for you! 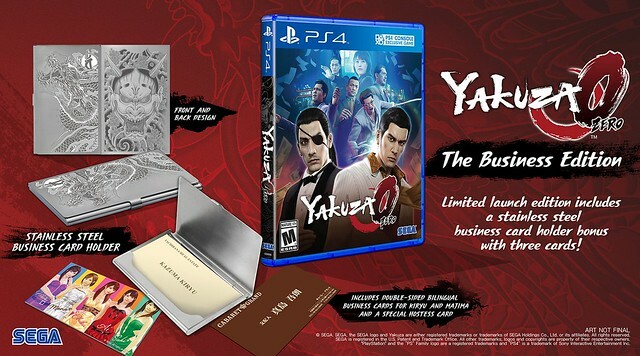 Second, there have been a lot of people asking for this, and we’re finally confirming here on PlayStation.Blog that Yakuza 0 will have a digital pre-order starting today! The digital version of the game will include a static theme for PS4 featuring the two protagonists. Awesome, right? But wait, there’s more! We wanted to give a little bit more context for the gravity of the situation Kiryu’s found himself in, so we’ve put together a bit of an insider’s look at Kiryu’s predicament exclusively for PlayStation.Blog. In Yakuza 0, Tokyo circa 1988 is the stomping grounds of our boy Kazuma Kiryu — just 20 years old — who’s just joined the ranks of the Dojima Family. Y’know, one of the most powerful yakuza crime syndicates in all of Kamurocho, the most prominent red-light district of Tokyo. One cold December night, he gets handed a job befitting a newcomer to organized crime: go collect this measly 300 grand debt (That’s in Yen, mind you… that would have been around $2,450 in 1988 or just shy of $5k today, adjusting for inflation) from this sad sack of a dude, and deliver the money to the loan shark waiting for it. Pretty standard fare when it comes to that “first-day-on-the-job” task for yakuza. So, put yourself in Kiryu’s shoes. You do the job, hand off the money, and afterwards, you call — er, page (It’s 1988, remember!) — your best bud and you hit the town. You unwind a bit by sobering some drunks up with your fists, you have a few drinks yourself, you hit the karaoke machine, and you end the night where any good night ends — a little ramen joint. All in all, a good day’s work, right? Right. Wait… what’s that news on the TV? That guy you just worked over has turned up dead? Uh oh. Your pager starts beeping like crazy. It’s a message from headquarters — the crime family you work for. And it’s got the little code for “urgent” in front of the number. That ramen in your stomach is starting to feel real heavy because now the police and others are going to start poking their noses in your crime family’s business, and take a wild guess how much the head of the family likes having to answer police questioning. That’s where players find themselves when they start off in Yakuza 0. As for Kiryu? He’s going to have to work exceptionally hard if he wants to be alive for lunch. Oh yeah — that place where they find the dead body of the guy Kiryu worked over? It’s called “The Empty Lot.” Capital “E,” capital “L.” It’s smack dab in the middle of a massive redevelopment project underway in Kamurocho, and let’s just say it’s…pretty valuable. Yakuza 0 hits your PS4 on January 24, 2017 and is available for pre-order now!